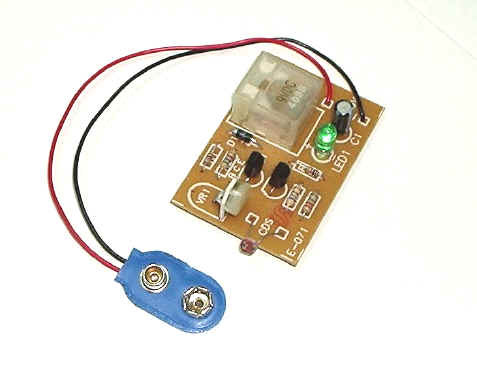 This kit works as a "light" detector which energizes a miniature relay when the CDS (Cadmium Sulfide) photo resistor detects bright light. The relay is de-energized when it detects subdued light. A trim pot is provided for adjusting the sensitivity of the detector. Applications : automatic corridor or porch light control, "chop-beam" intrusion alarm, . . . The above project is available in DIY kit . Click here to view price list.